I was getting my shoulders massaged when my mind started wandering off to the most randomest subjects. Then I got stuck on one subject. 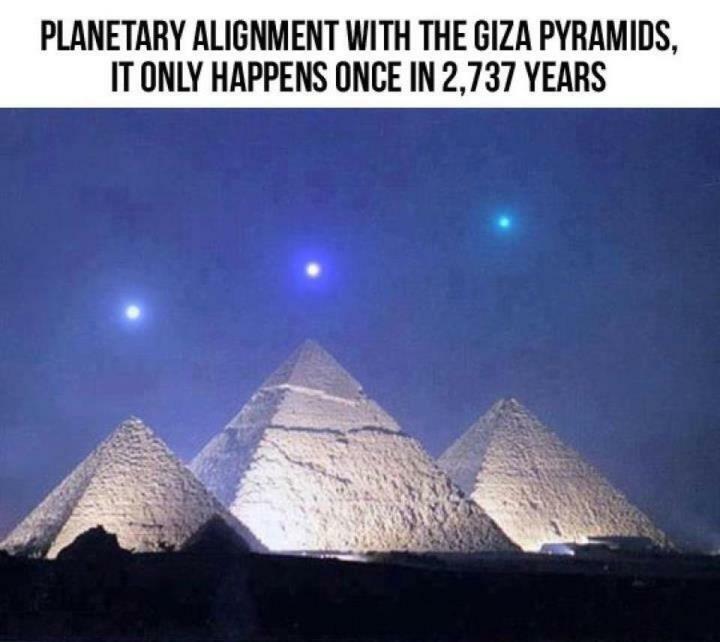 Specifically about the former planet Pluto. With all of the hype surrounding the Mars and writing my science fiction novels for Jacob Smith, I've been doing a lot of thinking about our planets. More so than usual. Usually, my planet-related thoughts are around fake ones that I've made up for my stories, but I have been looking into some very cool planet stuff. One of the coolest sites has to be http://omgspace.net/ where a graduate student made a website to show the scale of the solar system. I never realized it was THAT big. So back to Pluto. My thoughts come to me maybe a few years too late, but here they are. With Pluto being downgraded to a dwarf planet a few years ago, there's an inner child in me that demands it still be categorized with the other eight planets. I grew up with it being a part of the "My very educated mother just served us nine pickles" as a mnemonic device, Sailor Pluto saved the earth with all the other sailor scouts in Sailor Moon (and she was one of my favorites). The Magic School Bus even traveled to Pluto. I could go on and on about how much Pluto had to do with my childhood (Mickey's dog, anyone?). So for Pluto to be downgraded was like a slap in the face, a middle finger to my education. No, my mind said, it will always be a planet to me. It was just a way to make controversy, right? It was a bunch of scientists who had nothing better to do but downgrade a very much neglected planet. However, as my very tense shoulders were being worked, however, I thought about how that was very narrow minded of me. Not just for Pluto, but for anything that defies what I had believed before. I'd like to think that I have an open enough mind for change like that. I mean, imagine back in the 1930s when Pluto was discovered. There must've been a whole lot of people who were flabbergasted. Truth is, we have no idea how big the universe is and there are planets, dwarf planets, gas giants, etc etc (there's a solar system that plays a lot into the next Jacob Smith book). I recently read something online that explained how there is indeed an observable universe versus the wider universe beyond that (basically, if the universe is 9 billion years old, we can only see the light that's traveled from places 9 billion lightyears from us - and there's no way for us to see beyond, except to wait for the light to hit Earth or move our position). There are maybe trillions of stars and solar systems and planets in the universe. There are any number of ways there are life on other planets, and maybe not life as we know it. Pluto being downgraded means that we're just scratching the surface of just trying to make sense of the universe. The same goes for the happenings on Earth. If presented facts, I'd like to believe that everything is at least up for discussion. I'm curious. I want to understand the world around me. And if that shakes what I thought was true, I will be receptive to that change. So I will try to keep an open mind from now on. So Pluto, my favorite dwarf planet, enjoy your highly elliptical, inclined orbit. Stay mysterious and small. Because you're cool with me the way you are. An artist's depiction of the surface of Pluto, with Charon on the left and a tiny dot for the sun in the upper right corner. And here's the planets with the size of the sun as viewed from the surface of the planet. I don't think Pluto is on here. 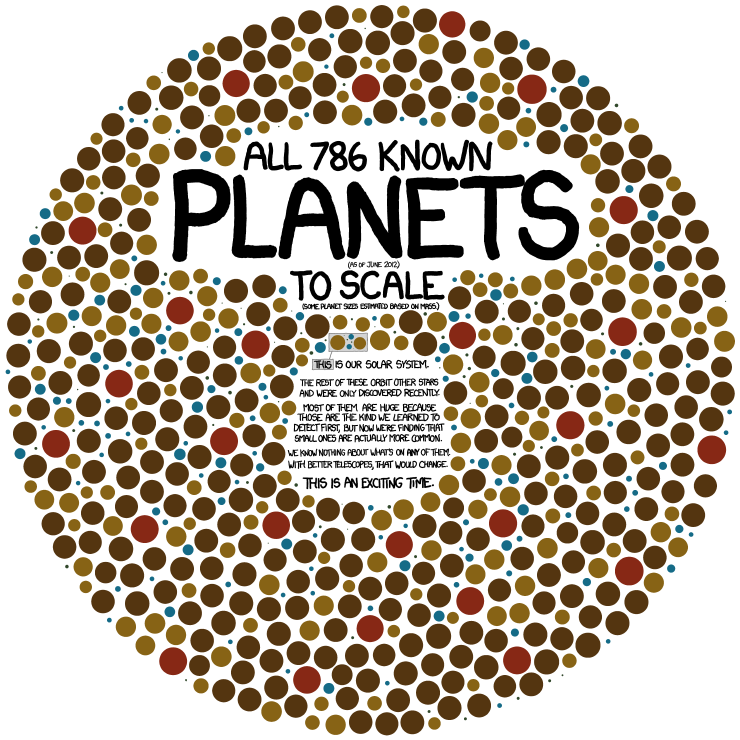 And here's all 786 known planets to scale.